Right, why even use Shopify? So let’s talk about affiliate marketing vs drop shipping and why you should choose one over the other. So basically what Chilcote is referring to in this question above is an affiliate marketing type of relationship. An easy way to explain what that is, is take for example that I wrote a review for a specific pen, and talked about how that pen is what I write with all day. With affiliate marketing you are promoting other people's products similar to drop shipping. One of the big benefits to affiliate marketing though, and one of its biggest advantages that draws people in, is you do not have to handle orders. Since you are simply referring people to someone else’s online store, you won’t be processing orders. You are not having to charge their credit card and their money is not going directly to your bank account. You don’t have to deal with a potential customer calling you and saying, “Hey, my credit card isn’t working.” That doesn’t happen because you don’t process the orders with affiliate marketing, making it one of the biggest benefits. Another big benefit with affiliate marketing is you do not have to handle customer service. If I refer someone to a retailer's website to buy this pen, then they buy the pen. It is not my problem if it shows up to their house and the ink has exploded during shipping. The customer will not contact me asking for a new pen to replace the one that exploded. Instead, they’ll contact the company and say, “The ink exploded. I want a new pen.” Obviously, not dealing with support is a huge benefit in affiliate marketing. In my eCommerce training, customer service is something I address. Specifically, with our eCommerce stores, we always try to have support at a minimum– meaning we sell products that aren’t problematic. 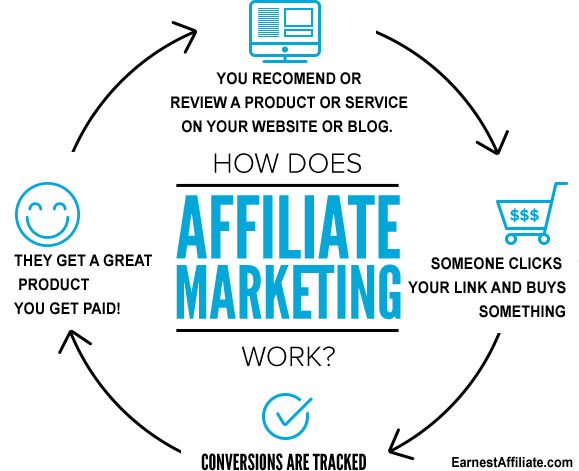 The reason this could be beneficial for those interested in affiliate marketing, is let's say you are promoting something super technical that maybe you don't have all the answers for, something very specialized. Could be a new type of electronic, something like that. If you promote it as an affiliate. You don't have to worry about answering these questions or dealing with complicated customer service issues. So not dealing with customer service could be a huge benefit if you promote or produce content in a niche like that. Now the way you make money as an affiliate is by earning a commission per sale. Just like the person referred to in the YouTube comment, they are saying why don’t I just refer this sale through my relationship with the manufacturer and they could pay me 10%? So commission-based sales is how you make money with affiliate marketing. First off, yes, you're still promoting other people's products. Let's use the pen example again. I would still be promoting someone else's pen, except it will be through my store. That means I would process orders, people would put their credit card information in on my website and that also means that I would have to handle customer service. If someone had a question before they ordered this pen, or if someone was shipped a damaged product, they'd coming to our drop shipping company for support. Making money with drop shipping means you earn profit per sale. If someone buys that pen from me for three bucks, and it cost me a dollar to fulfill the order, then I earn two dollars, right? But then of course, I have to factor in my expenses like hosting, paid traffic, and outsourcing customer service. However, you don't have a fixed amount you are going to earn with dropshipping. It really comes down to how you price your products and how you manage your expenses. 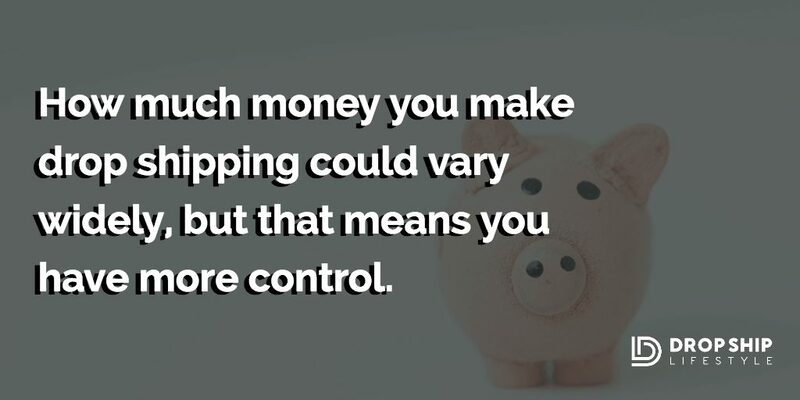 How much money you make drop shipping could vary widely, but that means you have more control. Let’s talk about an example that I always give because I think this will help to demonstrate the differences between drop shipping vs affiliate marketing. Funny enough, this paddle board example is one that I have been talking about since I started Drop Ship Lifestyle in 2013! Let's say you decided to make a YouTube video about paddle boarding. You got a bunch of views and now you're like, "Wow, I want to have people buy these paddle boards from me. I want to make money off this." So then you’ll start building an audience that cares about paddle boards. Now, you can compare these two options. If you promote someone as an affiliate, meaning you refer your traffic and audience to someone else’s store, you could earn 10% commission from each sale. So if the paddle board is $1,000, you would make a $100 every time someone used your link to buy their own paddle board. Note: In my experience, 10% is an average number for affiliate marketing commission. Some affiliate programs pay less, and some are pay more. Whereas with dropshipping a paddle board, these numbers vary also. But if you set things up properly, you can expect to make about 25% net profit on each sale. That means instead of someone going to the site you refer them to, you send them to your site to buy that $1,000 paddle board. And instead of making $100, you will make $250 net profit. At this point, what a lot of people are probably thinking is whether or not it is worth 15% of potential profit to have a business that is “hands-off”. By “hands-off”, people commonly think that I mean you are not processing orders or handling customer service. And I don't want you to think this way because it's a much more complex situation. It's not that simple. 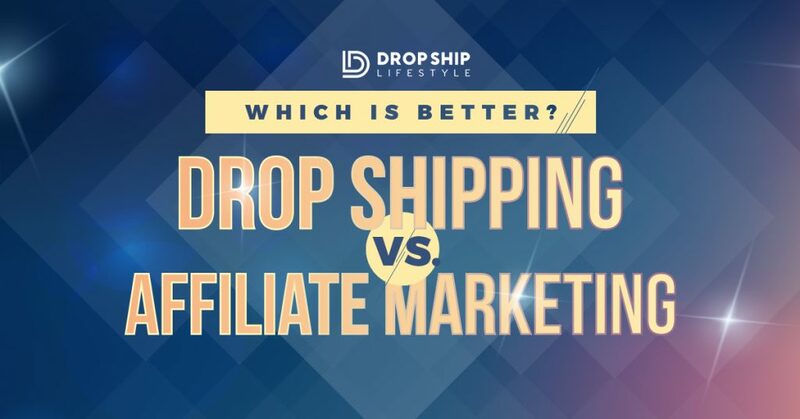 The Answer to Which is Better, Drop Shipping or Affiliate Marketing? Even if you private label or manufacture, just the benefits of having your own website rather than affiliate marketing are monumental. The first major benefit with drop shipping is there is a potential for over twice the amount profit every time you get a sale, for a minimal extra amount of work. Again, you might be thinking the things I talked about earlier (processing orders, customer service, etc.) sound like a TON of work. And I’m telling you it definitely can be if you sell something low-ticket like a $3 pen! One of the things that we do in our own stores, that makes my eCommerce training so unique, is that we recommend that you sell much more expensive, high-ticket products. That means less volume and less customer service, but way higher profit margins. So really, it isn’t that much work to earn more than twice the amount of money for doing affiliate marketing, which is nearly the same thing. This alone makes drop shipping worth your time. I am telling you, building a long-term drop shipping business is a great way to spend your time. It's definitely worth the investment of setting up your own store and getting relationships directly with manufacturers and suppliers. Now this one is the biggest for me, but drop shipping will open up new traffic sources and ways to find customers. I have ran plenty of affiliate sites in the past ten years, and I still have some affiliate sites which have generated close to seven figures in commissions alone. Affiliate marketing works, but it’s totally different from drop shipping for how you get people to your site. What I mean by is you can’t just use every traffic source if you have an affiliate site. Picture an affiliate site as an online catalogue of products. When someone clicks, “Add to Cart” they could be taken to Amazon or whatever company is supporting the affiliate relationship. Whereas if you have a Shopify, WooCommerce, or Volusion site, when someone clicks "Add to Cart" it goes to your site’s cart. Now there is a big difference in those two different business models, not just in terms of how you make money but in terms of where you can advertise. With Google, especially Google Adwords and Google Product Listing Ads, they do not allow affiliate sites. You can't upload your CSV of products and get traffic from Google if you have an affiliate site. And that is massive! Understand, that if you’re going to be running a successful affiliate site, your primary traffic source, and what most people do, will be focused on SEO. It’s a huge way for affiliates to make money and get insane amounts of traffic. BUT you have to be really good at SEO to be successfully relying on it as your primary source of traffic. The downside for relying on SEO as the main source of traffic for your affiliate site is that you are only making 10% or so per sale, so you can’t afford to invest in paid traffic most of the time. That’s why affiliate marketers rely so heavily on free traffic from search engines or influencer marketing (in which you would try to be an influencer yourself). Like I mentioned earlier, if you have that paddle board video on YouTube, got a bunch of organic traffic, that could be something that you then funnel in to an affiliate offer. On the other hand, with dropshipping or any other type of eCommerce, not only do you have more profit per sale to play with, but Google loves when you advertise with them and their shopping aggregator sites. That means you can have a much bigger reach in a much, much shorter amount of time. When you’re not relying something like search traffic, but relying instead of paid traffic, it is much easier to control your profits (and when the time comes, it’s easier to scale your business for growth). The reason why I’m mentioning that I’ve done well and made plenty of money with affiliate sites, is because I’m not doing that great with them anymore. Some of them still do well, but I didn't have control. I didn't have control over the affiliate offers that were available to me. Meaning, that because they are not your product and it’s not your store, companies could change what you are allowed to promote. Google, if you a relying on search traffic, can change how they send traffic, rank your page, and how you show up on the SERPS at the drop of a hat. Really, you don’t have control on boosting your traffic when relying on organic search results because it’s not paid. If you are relying on other people's traffic or other people's affiliate offers, it can run dry very quickly. It's not up to you with affiliate marketing. With drop shipping (or selling your own products or private labeling), you have that control over traffic sources. It doesn’t stop there, another massive thing you control with a drop shipping business is your customer data. Again, let's say I was referring 20 people a day to buy from a certain site. Every time I did that, that other website is collecting that person's name, email address, their home address, their phone number, etc. What that means is that the pen company that I am referring to will have those customers for life and can market to them. That pen company will email the customers I sent to them and tell them about their Black Friday special on pens, for example. Another massive downside to affiliate marketing. Think about this. If you are the person that processes that order, again you are making more money the first time you process it. Yes, there is a little bit more work, but you also own that customer data. So if you want to sell a box of 10 pens as an upsell or if you want to sell them new notebooks or if you want to have a huge Black Friday sale, you are the one that's marketing to that same person. Over time, that data will become so much more valuable to you and to your business. That right there is just massive and honestly, this is one of the main reasons I drop ship. And yes I know, I keep saying all the main reason but it's because these benefits are so important. These reasons are why you should spend your time building your own Shopify store. The final benefit for choosing drop shipping over affiliate marketing is a drop shipping store can be a business that you can sell. A lot of people sell their drop shipping business and it’s a great way to cash out and make a huge amount of money. Now, I’m not saying affiliate sites don’t sell, because they certainly do. 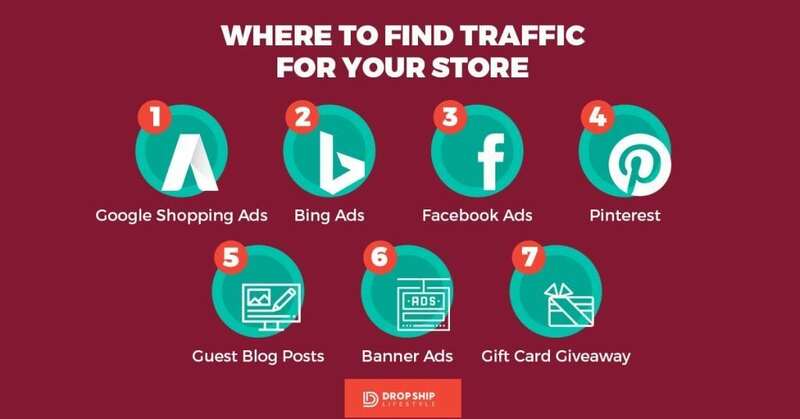 But if you have a drop shipping store with a solid sales history and customer database, it’s much more likely that you will get a higher payout when you want to sell your site. In general, drop shipping sites are much more saleable than an affiliate business for a few other reasons. There is a bigger buyer pool, especially when you get into the higher end price points. Affiliate sites aren’t the ones selling for seven figures, drop shipping businesses are. It can be, again I am not saying there is no exceptions, but you will be much better off if you spend your time building your own business. 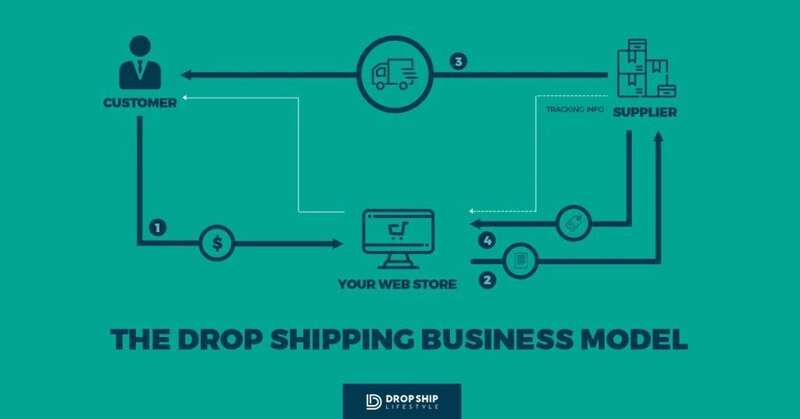 Remember: a drop shipping store is an actual eCommerce business that you know you are processing orders on, rather than sending sales to someone else's business. 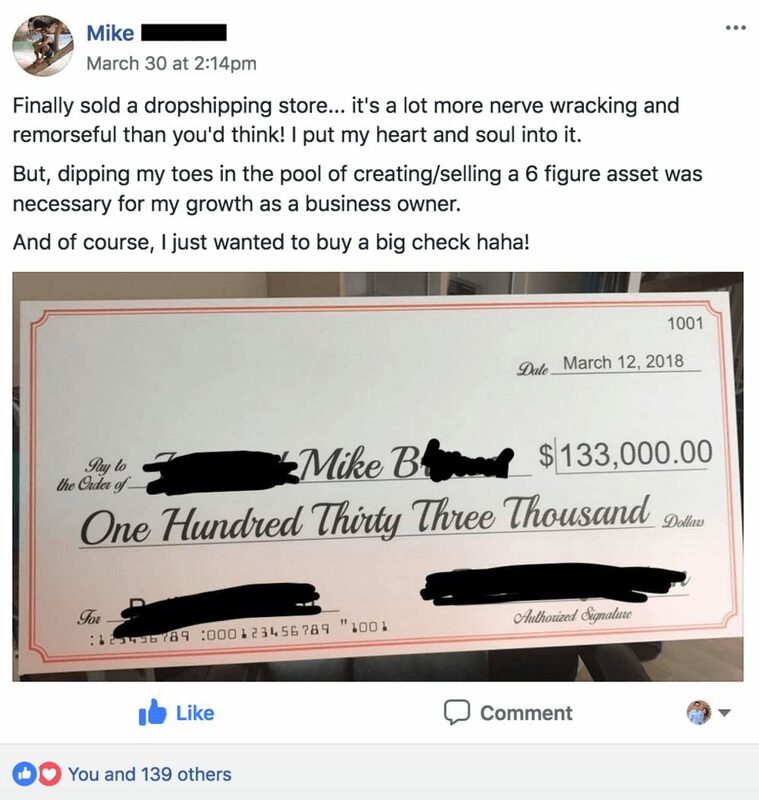 So with that being said, hope you found this explanation on drop shipping vs affiliate marketing valuable. Great question to bring up and definitely leave a comment below to keep the discussion going. I especially want to hear from you if you’ve had any experience with affiliate marketing! Also, thank you reading this article. I hope that it provides with at least some motivation or a business lesson you can apply in your own life. This topic was also covered in a previously recorded video. I post videos weekly to my YouTube channel so be sure to subscribe and share your top takeaways with myself and the rest of our community. Your comments keep me going so please drop me a message or just say hi. Hi Anton, got my answers and really enjoyed reading this, Thank you. I’ve a question please if you can answer. I’m from Pakistan and tryint to start Drop Ship business, Do I have to register my business in my country or an eCommerce store is all I need ? Are you looking to do business in your country, or in the states? My question is when I have to charge my customers sale taxes and when dont have to? I must pay taxes in my country or in USA? It would depend where you form your business entity (corporation or LLC). For example, things would be different if you formed your business in the U.S., in Slovakia, or somewhere else (like Singapore or HK). I’d need to know more about how you’re planning on forming your business, but even then, I’d most likely recommend you speak with an accountant or lawyer. Well explained Anton. Now I got a clear clarification on Drop Shipping and Affiliate Marketing. Thanks for your blog. Please keep sharing and keep on touch with us.